Madeleine O’Toole is a graduate of St. Mary’s Episcopal School and currently attends Rhodes College where she hopes to study Urban Studies and/or Business with a focus in marketing. She is passionate about all things nutrition and currently runs a food blog (@granolagrrl) centered around local restaurants and healthy recipes. She first came across Memphis Tilth when researching organizations that are addressing food deserts within the Memphis area and immediately knew it was something with which she would want to become involved. During her internship, she hopes to further explore this issue of food justice and the ways in which Memphis Tilth actively works towards instituting long-lasting programs to alleviate this issue, especially in regards to their community garden and kitchen program. 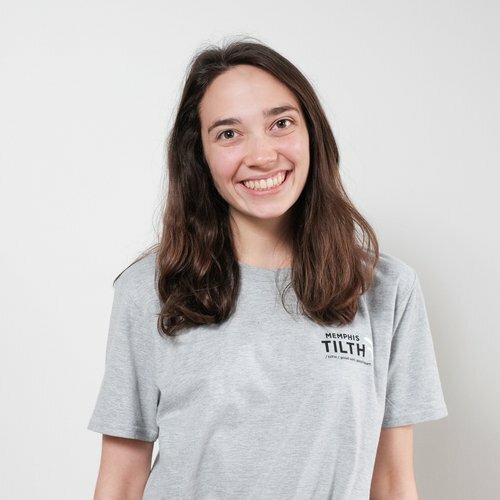 She currently assists the Memphis Tilth admin team in daily operations and with the Memphis Tilth youtube channel, collaborating with staff on video ideas as well as creating and editing the videos.